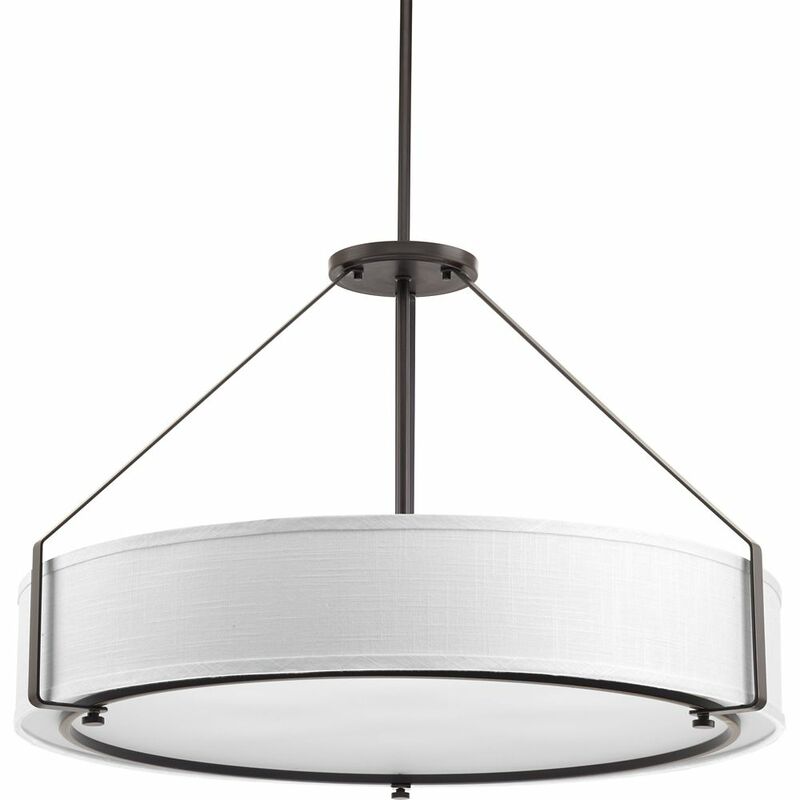 The six-light pendant offers a sleek metal frame that supports a low-slung shade to create Ratios casual modern style. The frames proportion to the white linen drum shade evokes a perfect ratio for lighting. Includes a polished glass exterior, etched glass interior diffuser that offers an elegant appeal and is easier to clean offering both fashion and function. Ratio Collection 6-light Antique Bronze Pendant The six-light pendant offers a sleek metal frame that supports a low-slung shade to create Ratios casual modern style. The frames proportion to the white linen drum shade evokes a perfect ratio for lighting. Includes a polished glass exterior, etched glass interior diffuser that offers an elegant appeal and is easier to clean offering both fashion and function.